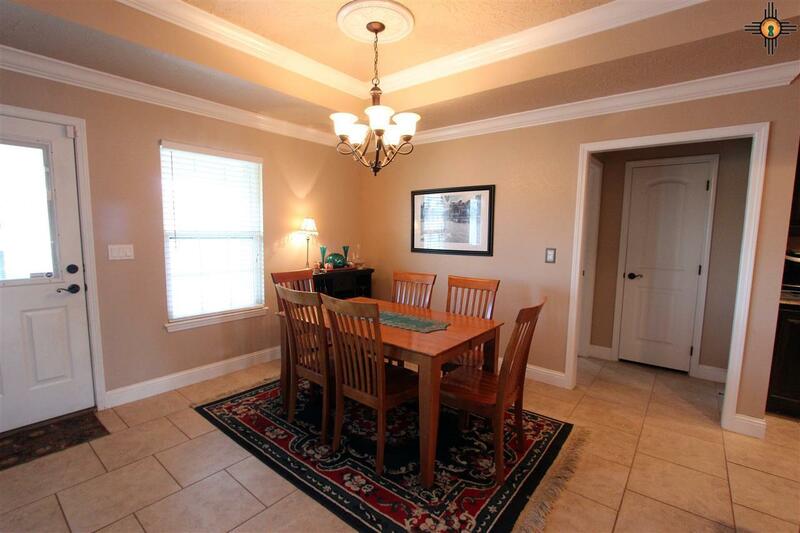 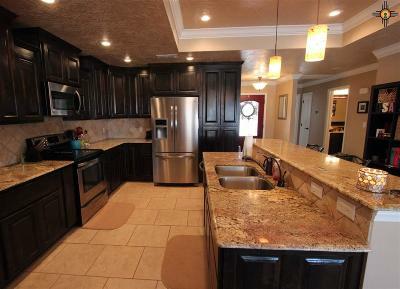 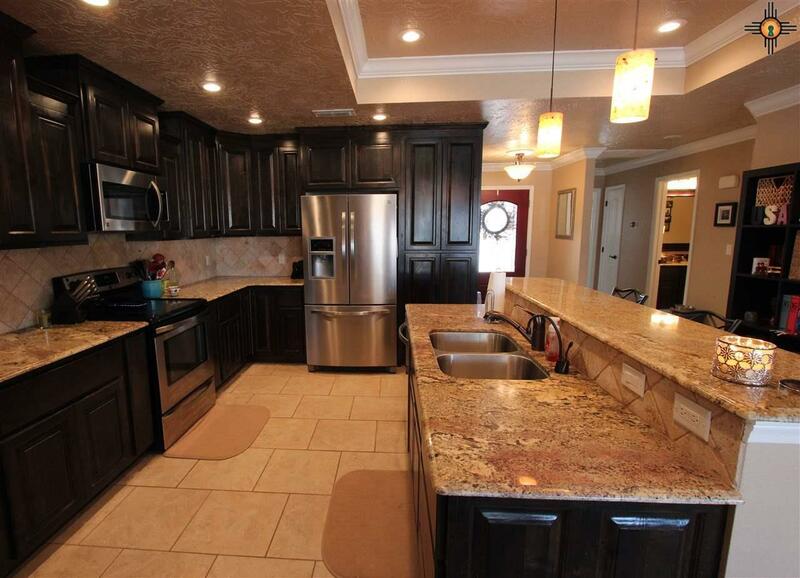 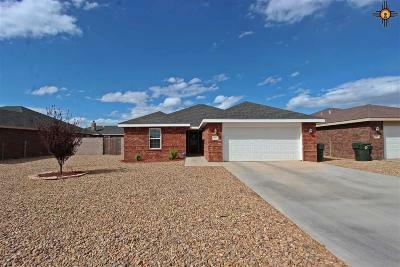 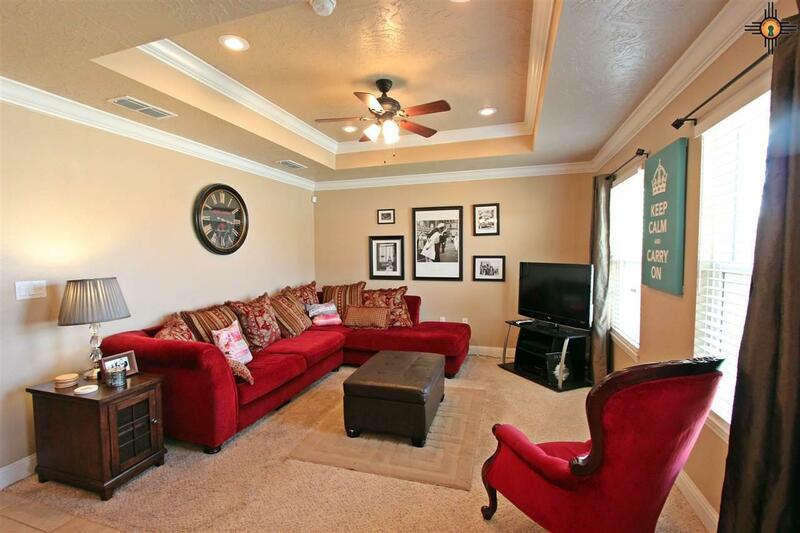 This lovely 3 bedroom, 2 bath home has custom features at every turn. 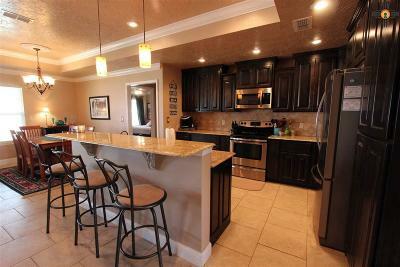 Solid granite countertops in kitchen and baths, gorgeous, thick, crown molding with coffered ceilings, and over-sized tile are highlights. 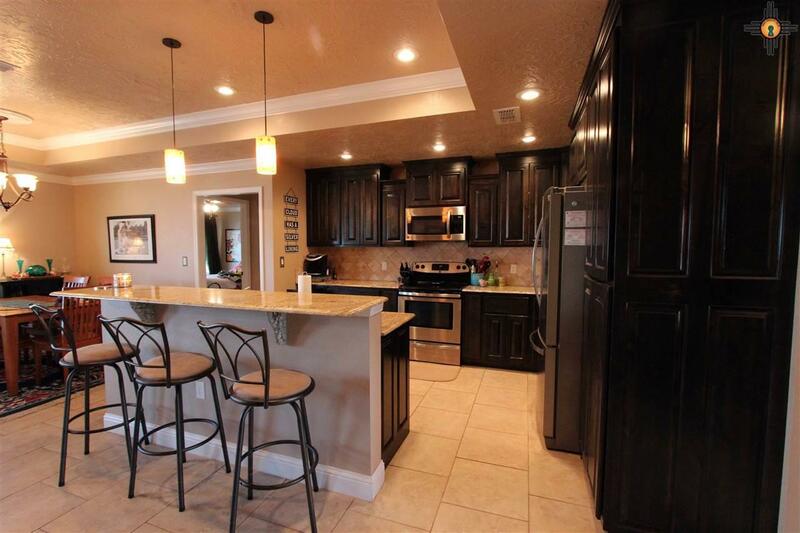 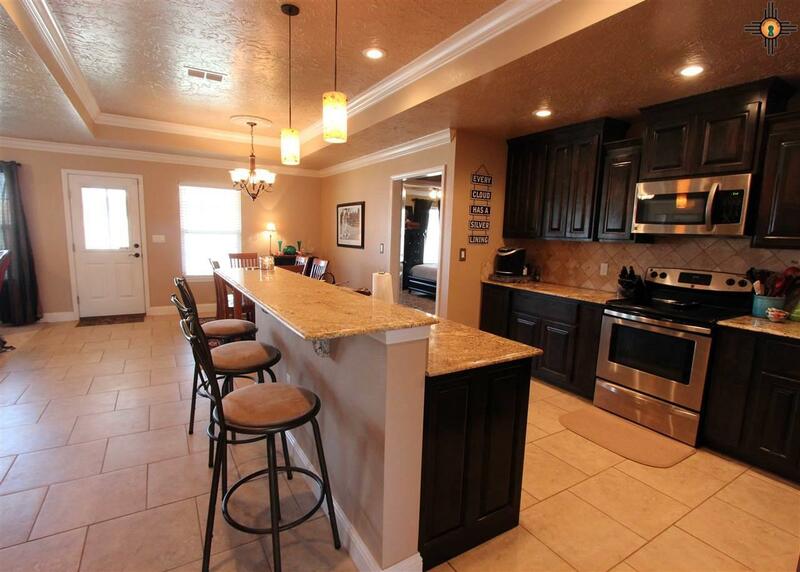 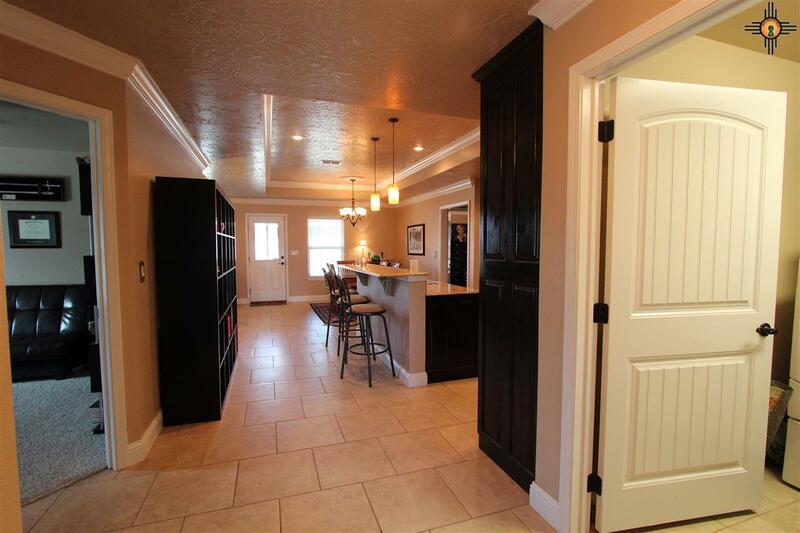 The open living-dining area with kitchen bar is perfect for entertaining. 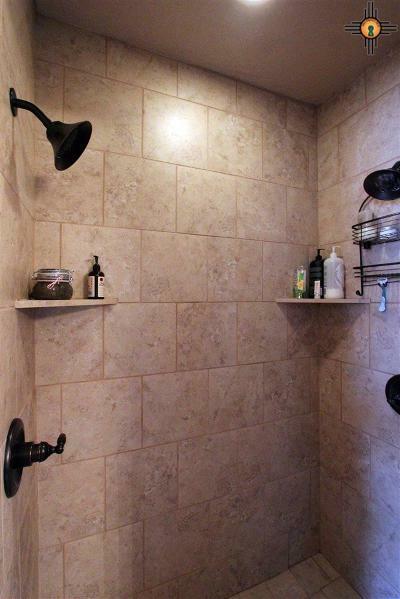 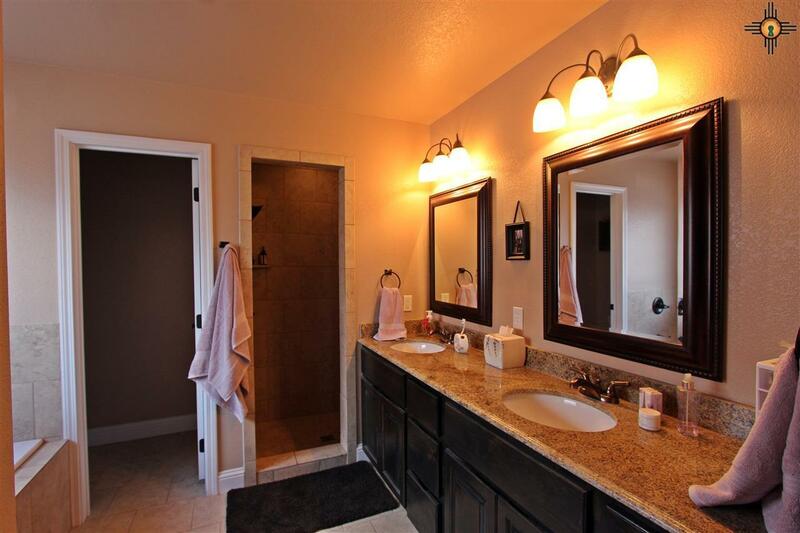 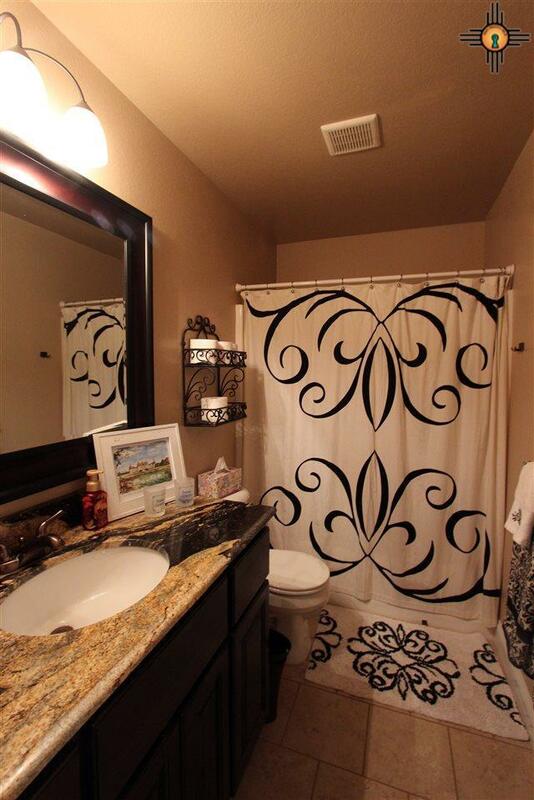 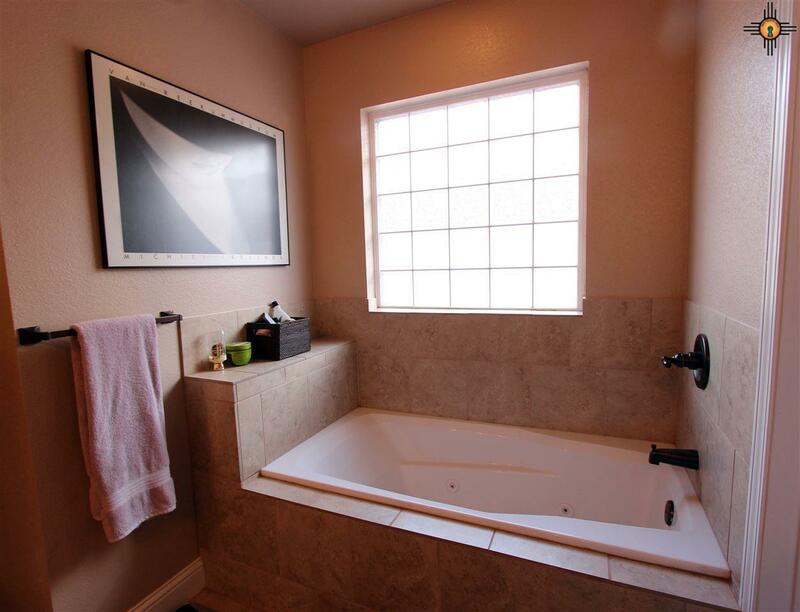 The master bathroom has walk in tiled shower and separate jet tub for relaxing. 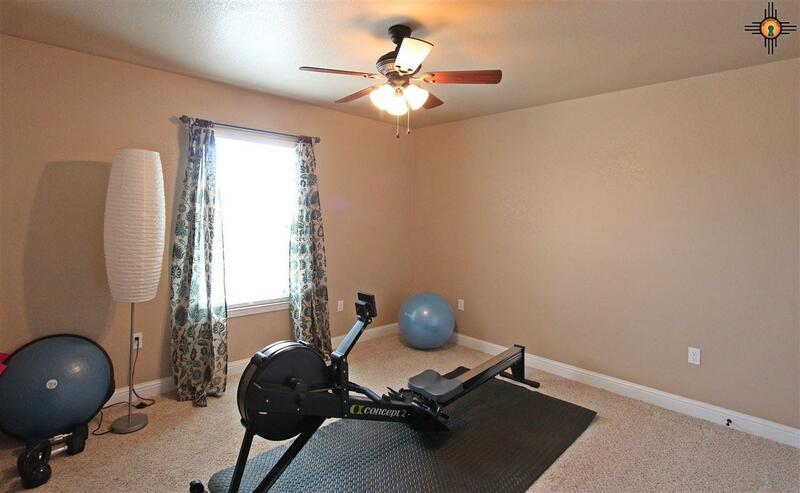 Other amenities include a split bedroom floor plan, spacious laundry with easy access to the 2 car garage, built in storage and partially floored attic space. 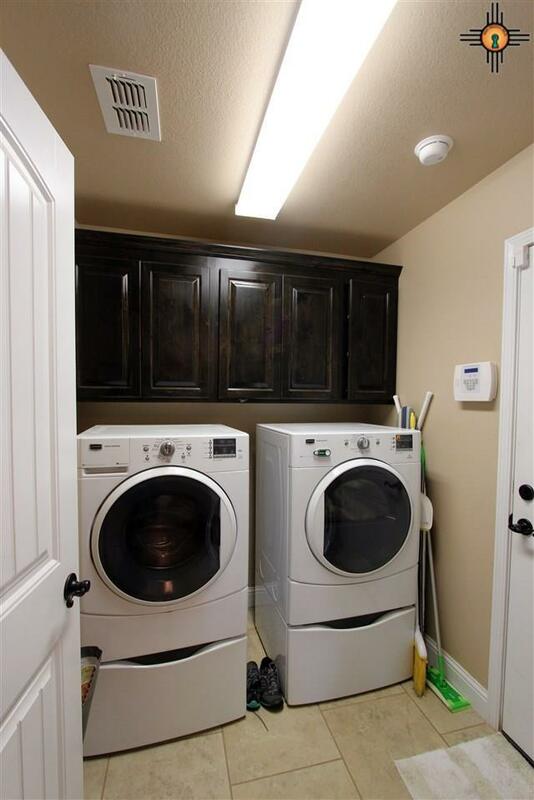 Homeowner upgrades also include a Nest thermostat for energy savings, instant hot water, and a complete security system for your peace of mind. Ample wrap-around backyard has a secure concrete block fence and covered back patio. 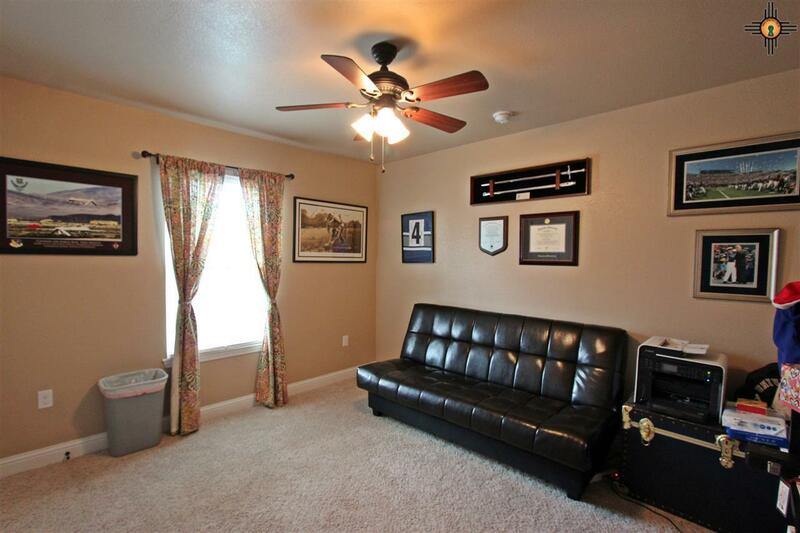 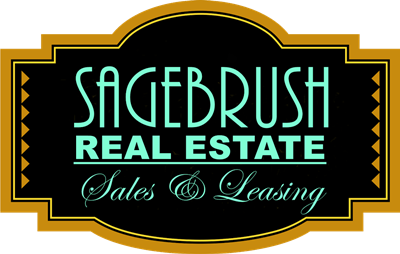 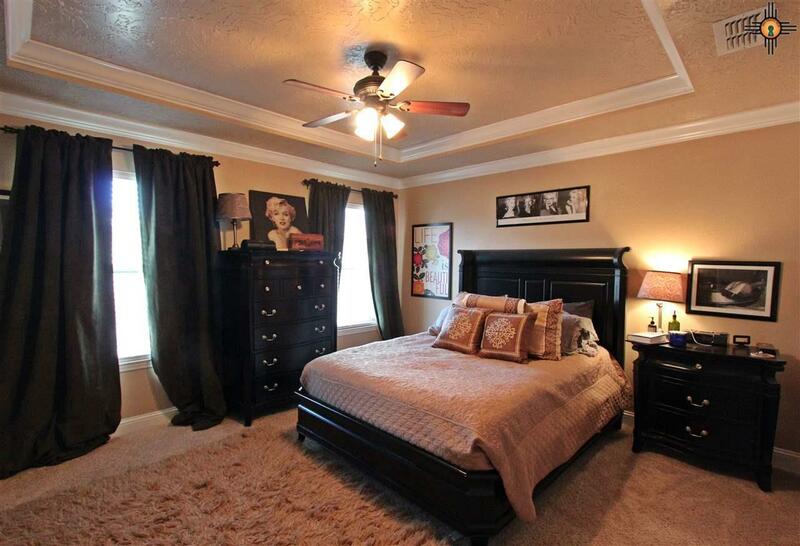 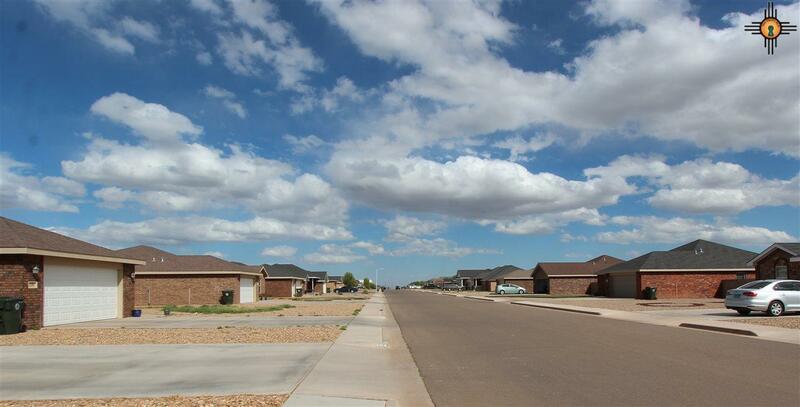 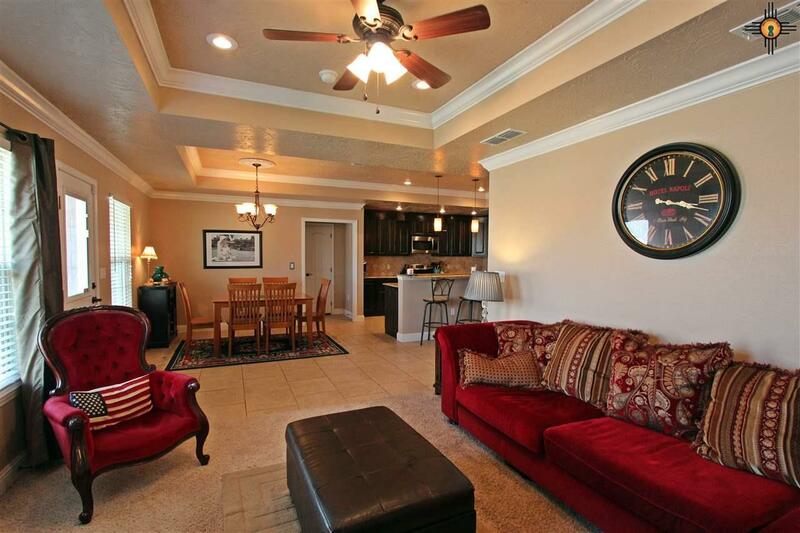 You will love the convenient layout and quiet, yet friendly, neighborhood.